Fifty years ago, on Friday 07 September 1962, British Railways ran the last goods train on the Ashburton branch, after which services were withdrawn. Passenger services had been withdrawn in 1958. The following day, Saturday 08 September 1962 the Plymouth Railway Circle ran a brake van special from Totnes Quay to Ashburton, worked throughout by 2–6–2T No 4567. 07/08 September 2012 also fall on Friday and Saturday. Display of photographs, documents and other memorabilia in the SDR Museum at Buckfastleigh, to commemorate the last days of operation. Gathering of former railway staff and users in the museum. Participants will be invited to bring their own photos, documents etc. There will be opportunities to share memories and experiences of the line, and make archive recordings, including oral accounts, of those involved. 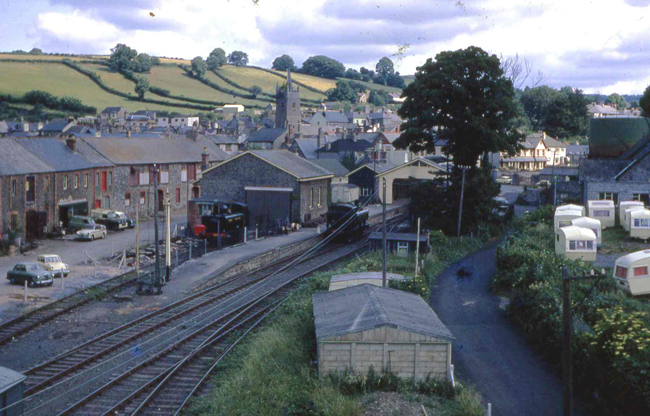 Guided tours of Buckfastleigh site to show the changes since loss of the line to Ashburton, including the original signal box. There will be morning and afternoon tours, each lasting about an hour. Ashburton model railway layout in full operation, including the running of brake van specials. The layout recreates the former station in 4mm scale, and is built to very exacting standards. Although it is set in the 1940s, there was little change until final closure in 1962. Full size brake van special from Totnes Littlehempston station to Buckfastleigh, covering as much of the original route as remains today. It will be possible to ride on the train, but only if you are a member of the South Devon Railway Association. For full details of membership check the SDR Association website membership page. Bus tours to Ashburton station. 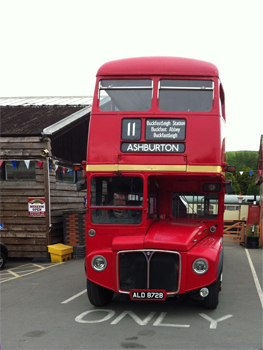 The South Devon Railway’s Routemaster bus will convey people from Buckfastleigh to Ashburton station. Here, guided tours of the remaining parts of the railway, including the train shed, station buildings, goods shed, engine shed, Bulliver Way, the site of Gulwell tunnel and the line from Peartree towards Buckfastleigh will take place. Lunch will be available at the Farmers’ Market at Tuckers Country Store. 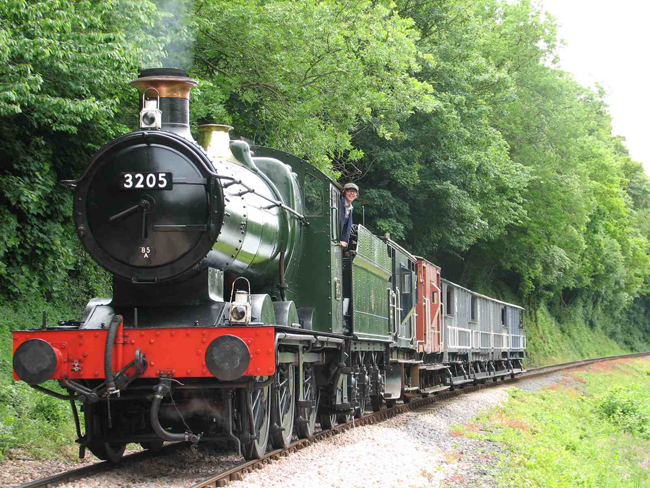 It will be possible to return to Buckfastleigh in time for 2.15pm train departure, or for 3.45pm train departure. There is no need to book in advance for any of these events, and normal South Devon Railway train fares will apply on the day. Entry to the SDR museum will be free, as usual, although donations will be very welcome. The SDR’s normal train service will be in operation, and passengers can join at Totnes, Staverton and Buckfastleigh stations. Do come and join us for a great day out! Being exactly fifty years to the day the SDR will run another brake van special from Totnes Littlehempston station to Buckfastleigh, covering as much of the original route as remains today, but only if you are a member of the South Devon Railway Association. If you would like to travel on this train – and timings have not yet been finalised – please contact John Brodribb via Buckfastleigh station, or . We’ll be asking for donations to help cover the costs of running the train. Potential passengers who would like to continue their journey from Buckfastleigh will need to do so via the Rail Replacement Bus, which will be operating between Buckfastleigh and Ashburton. The 2012 train is likely to have steam locomotive 0–6–0 No 3205 at its head, but timings have not yet been finalised. Watch this space!